The beautiful beach city of Valencia, with its tree lined streets, mixture of renaissance, gothic, neo-classical and modernist architecture, and unrelenting nightlife, rivals Barcelona on many levels yet still has not experienced the same tourist influx as its neighbour in the north. Valencia not only offers city life with a the option of sunbathing on the beach at lunchtime, it also hosts one of the best and biggest festivals in the whole of Spain a�� Las Fallas. Huge bonfires burning down fine artistry; a parade that ends in a flower offering to the Virgin Mary; fire cracker wake up calls at eight o’clock in the morning a�� there is nothing quite like it anywhere in the world. Las Fallas takes place 15th a�� 19th March but there are events throughout the city in the two weeks leading up to the main festival. 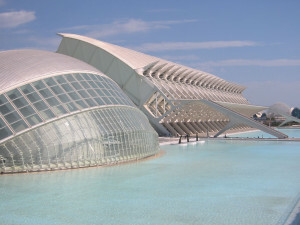 Valencia is also a great place to learn Spanish. The locals are friendly, which is great when you want to chat and put into practise what you have learnt. The city is easily navigable and you can go to most places on foot. The city is also cheap. Valencia is on average 25% cheaper than Barcelona and rent is 40% cheaper than in Barcelona. Ita��s an incredible safe city and you wona��t need to adopt the same levels of pick-pocket paranoia that is necessary in Barcelona. – Now 143 EUR, was 159 EUR. Discount has already been applied. – Course must start week commencing 14 March. Next Next post: Antibes at Easter a�� Why Not?